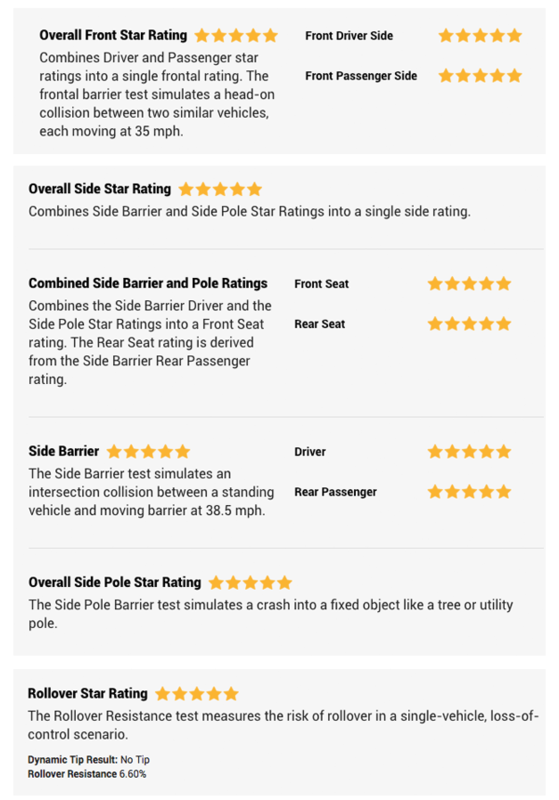 Tesla Model 3 earns a 5-star crash safety rating from the National Highway Traffic Safety Administration(NHTSA) testifying Model 3 safety is top-notch — guaranteed. Model 3 is going to be an incredibly safe car, we really believe at Tesla that safety has to come first, we care about you, we want you to be safe, we want your friends and family to be safe, this is paramount, Model 3 will not just be 5-star on average, will be 5-star in every category. Guess what? this was not an overstatement by Tesla CEO Elon Musk, this is what the automaker aimed for and achieved excellently (see rating screenshots from NHTSA above, crash testing videos below). Tesla‘s electric vehicle fleet is one of the safest cars on the planet as Model 3’s elder siblings, Model S and Model X have also achieved the same safety ratings. Electric cars naturally have an advantage over conventional cars with a large crumple zone in the form of a front-trunk (frunk) and a solid floor filled with battery packs that provide structural rigidity and a low center-of-gravity. Safety is the most important part of the overall Model 3 design. The metal structure is a combination of aluminum and steel, for maximum strength in every area. 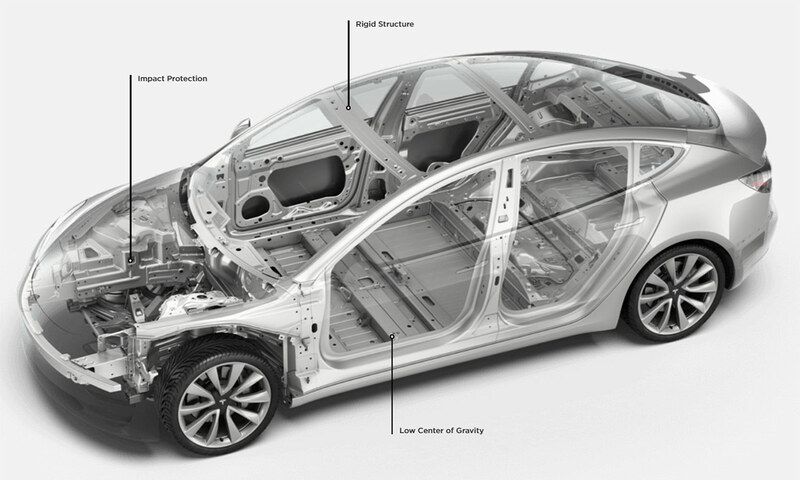 In a roof-crush test, Model 3 resisted four times its own mass, even with an all-glass roof: that’s the same weight as two full-grown African elephants (see Model 3 structural diagram below, click to load high-res version). Recently a Tesla Model X was hit by a small airplane and all occupants survived with only minor injuries and several other incidents where the Model S and Model X have demonstrated their top-of-the-line safety — no less should be expected from the excellent Model 3. Let discuss your thoughts in the comments section below.